Ukraine provides fashionable options for married couples from around the world to grasp the next steps in becoming parents. 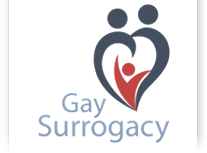 Generally speaking, the legal battles concerning surrogacy in Ukraine are very favorable, however gay couples are not allowed to pursue surrogacy in Ukraine. Intended parents from Ukraine can take advantage of our gay-friendly locale in Mexico to attain there dreams of parenthood. Backed by low-cost options, and advanced treatment options, patients do not have to give up on their dreams because of the hasty laws in the Ukraine. Ukrainian surrogacy laws are favorable and fully support an individual’s reproductive rights. Surrogacy is officially regulated by Clause 123 of the Family Code of Ukraine and Order 24 of the Health Ministry of Ukraine (Reg. 04.02.97). You can choose from gestational surrogacy, egg or sperm donation, and special embryo adoption programs. The prospective surrogate should be 20 – 40 years old and have at least one healthy child of her own. Surrogate may have no relation to commissioning parents. A written informed consent of all parties (intended parents and surrogate) participating in the surrogacy program is mandatory. The marital status of the surrogate is irrelevant.